The Fear of Writing is Like Trapping Yourself in a Soundproof Room. Open the Door. I’m too busy to write. I can’t seem to get my ideas on paper. I know what I wanna say, but I just don’t know how to say it. Spellcheck was invented just for me! Some of this is true. But, really, most people are afraid of sounding stupid. They’re afraid a typo, a misplaced comma or a run-on sentence will prevent their idea from being communicated clearly. It’s okay to be afraid. And it’s okay to decide not to hone a particular skill set. 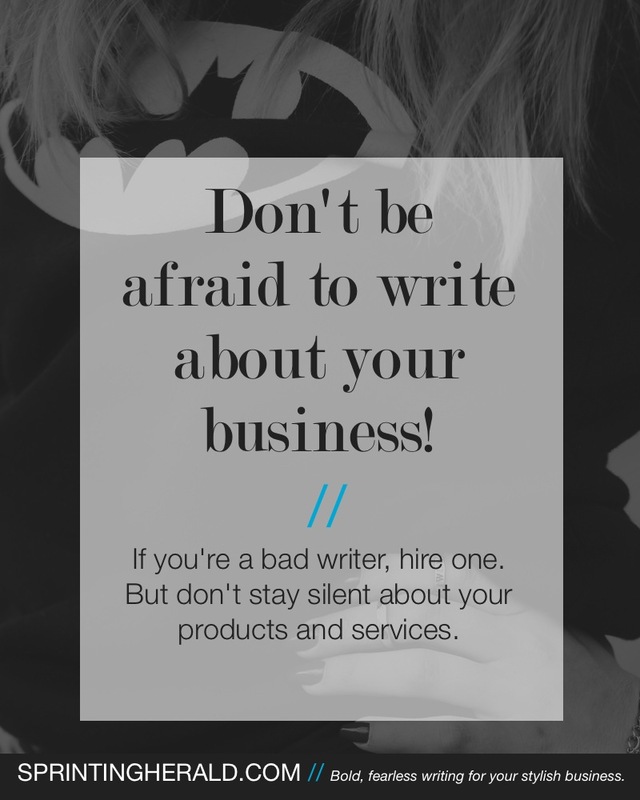 But, it’s not okay to let a fear of communication keep you from running your business. Don’t let it keep you from sharing or doing that awesome thing only you can do. Most importantly, don’t let fear keep you boxed into a soundproof room. Communicate with your folks. Approach it with whimsy. Write love letters to your customers. Hire someone to write for you–it doesn’t have to be me–so you can get your ideas out there in the universe. Start a podcast. Shoot a photo. Send a tweet. Get brave. Tell your your business story. 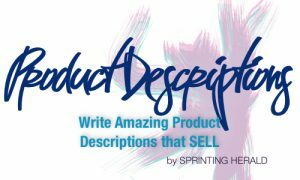 A small business owner-slash-Etsy shop owner asked me about writing product descriptions for his Etsy shop. This biz owner’s products were getting a healthy amount of hits on Etsty, but he wasn’t seeing the sales he’d hoped for from the views. Here’s a quick snippet of the advice I gave him. I read through your copy on Etsy a few times. Below is a mix of my thoughts and advice. Benefit: Smirk as you burn past those family men driving 55mph in Dodge Caravans. You know the ones: they bought a van with a spoiler. They fought with their wives over that spoiler. That spoiler is all they’ve got left. Yeah, those guys. Leave them, their kids and the dog in a trail of smoke that smells like your freedom. Okay, I had too much fun writing that. It’s a little long, but you get the point. Tell the reader why they should want this item. You should break up your paragraphs for easier reading. Bold a few key phrases to lead the reader [through the description]. For items with directions, reduce the number of steps. You don’t want it to sound hard! Another big thing. Your description is almost 700 words–waaaaay too long for Etsy. That’s like writing a blog post! Try something a little shorter. Expect a longer post about this later. It’s Memorial Day weekend, so I’m keeping it short and sweet. Who gon’ check me, Boo? 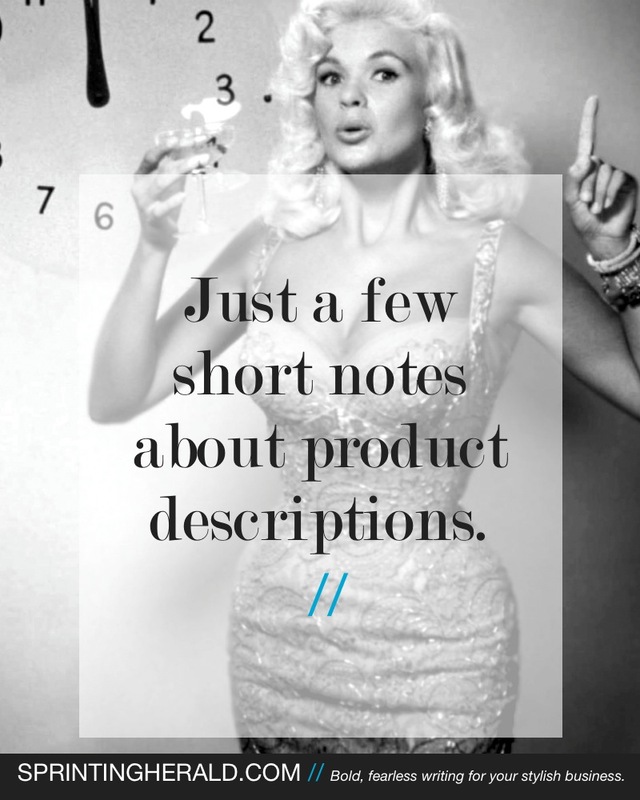 Want step-by-step instructions on writing product descriptions that SELL? Check out the Micro Course!